It’s kind of baffling that Diana Rodgers can stand me. I mean, I was rude to her the first time we met, and a year later, I almost burned down her family’s 18th century farmhouse. I’m glad she doesn’t hold a grudge, and that we’ve become fast friends. We’ll be roomies again in a few days, when Diana’ll be back in the Bay Area to present at the fourth annual Ancestral Health Symposium. This year, the conference will be held at my alma mater, UC Berkeley (go Bears! ), which means I’ll get to show Diana where I used to pick up bean and tofu burritos while clomping around town in my shiny black Doc Martens and listening to Pearl Jam on my Discman. 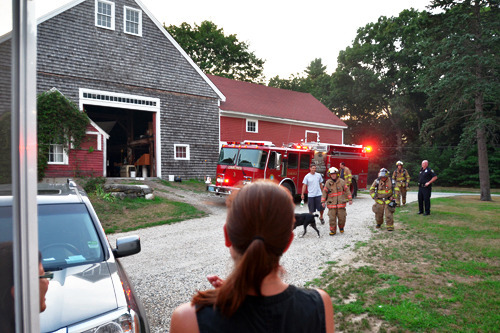 It won’t be quite the same, though, as when our family stayed at Diana’s farm in Massachusetts for AHS in 2012. 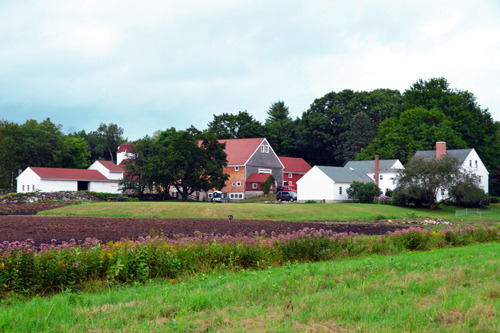 Our family still reminisces about our time as guests at Clark Farm, and how it changed the way we look at food. Ensconced in our little pocket of the Silicon Valley, we have no pets (save for a few neglected Furbies), and our yard produces nothing but weeds, so for my iPad-addicted kids, staying on a farm was like living on Mars. In a good way. 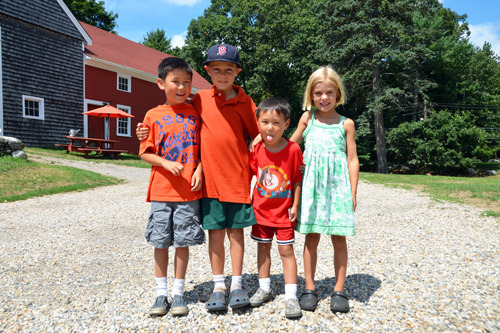 The O’s loved the farm, and didn’t want to leave (or say goodbye to their new friends). 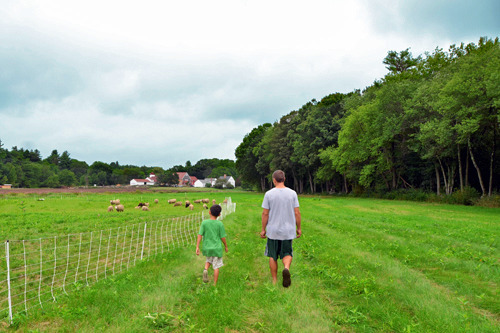 Last week, when Diana posted the first of several videos from Clark Farm about how she and her husband Andrew raise and harvest healthy food, my boys eagerly watched it with me. Watch these videos—you’ll learn a lot from Diana, Andrew, and their team (including their kids). 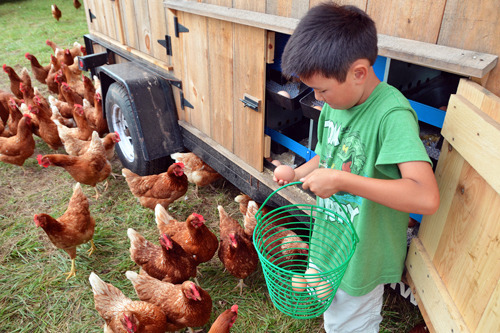 It certainly made us wish we were hanging out on the farm again. Here’s the thing: When I went Paleo, cutting out grains and sugar wasn’t actually the biggest change for me. Rather, it was being truly mindful of what I stick in my mouth. For decades, I stocked my fridge and pantry with what I thought were “healthy” foods, but I never paid much attention to how they made me feel or how these products got to my table. Although I was a member of a CSA (community sponsored agriculture), I routinely supplemented my weekly haul with faux-organic food at a big-box store that was flown in from halfway around the world —’cause hey: it’s cheap and convenient. 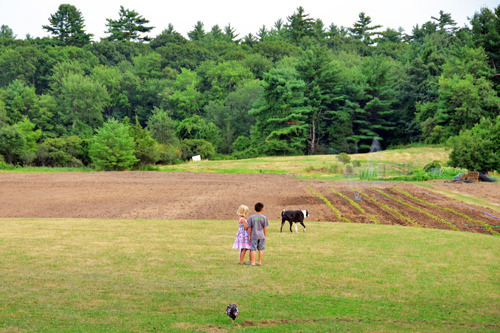 Spending a week at Andrew and Diana’s farm really opened my eyes. 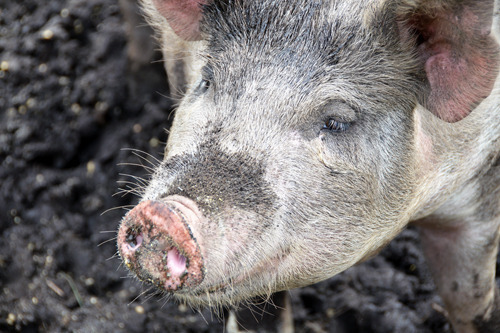 For the first time, we saw up close how food should be raised, and came face-to-snout with animals that were raised to be eaten. 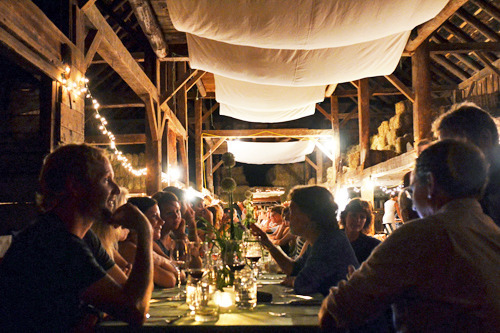 Plus, the Sustainable Feast that was hosted in the Rodgers’ barn will always be one of most memorable dining experiences of our lives. We may not be back in Carlisle, Massachusetts anytime soon, but I’m excited to hang with Diana again this week—and to see the rest of the Rodgers gang again in the near future, too. And this time, I’m pretty sure we won’t need to call in the fire department. P.S. If you’re at AHS this week, come say hello to us! I promise not to be rude.